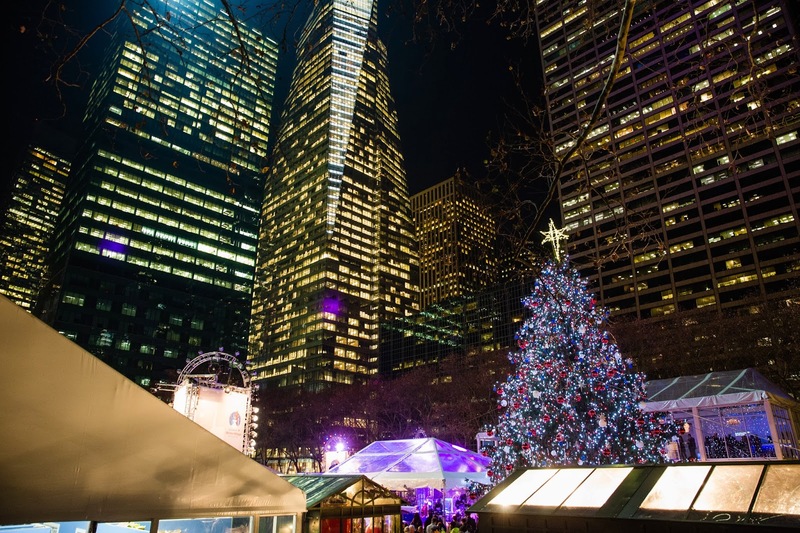 Our beloved Christmas tree at the Bank of America Winter Village is lit and the holiday season is in full swing. 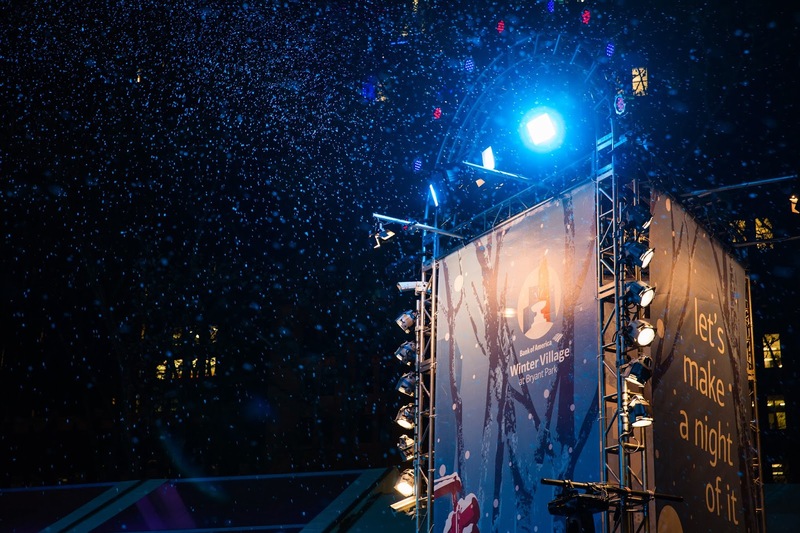 If you weren't able to attend the Tree Lighting Show, below are some pictures that illustrate the evening. And if you were fortunate enough to attend, feel free to relive the fun. Evergreen scent not included! 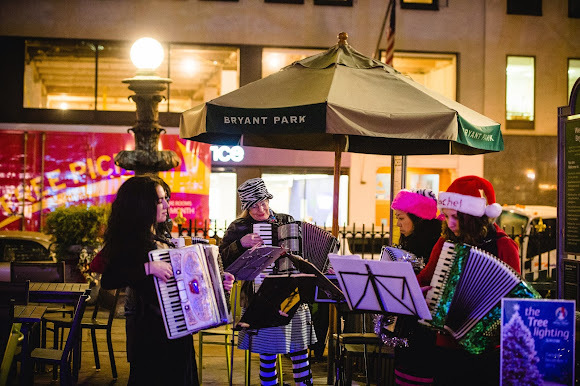 Six small bands--including our beloved accordions--nestled around the park to provide pockets of holiday cheer in the hour before the Tree Lighting Show. With temperatures in the low-50s, Jack Frost made himself scarce and the musicians' hands weren't too cold! 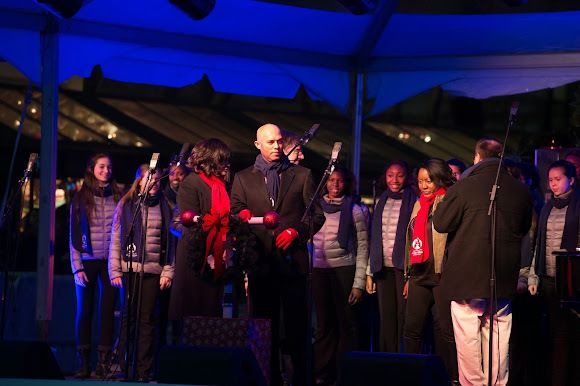 New York Yankees legend Mariano Rivera (center) took the stage with Helen Little and Bob Bronson of 106.7 LiteFM to light the tree for the first time in the season. Doesn't the tree look glorious? You can decorate your home tree like ours--here is the inside scoop! Next, we alternated skating and musical performances. 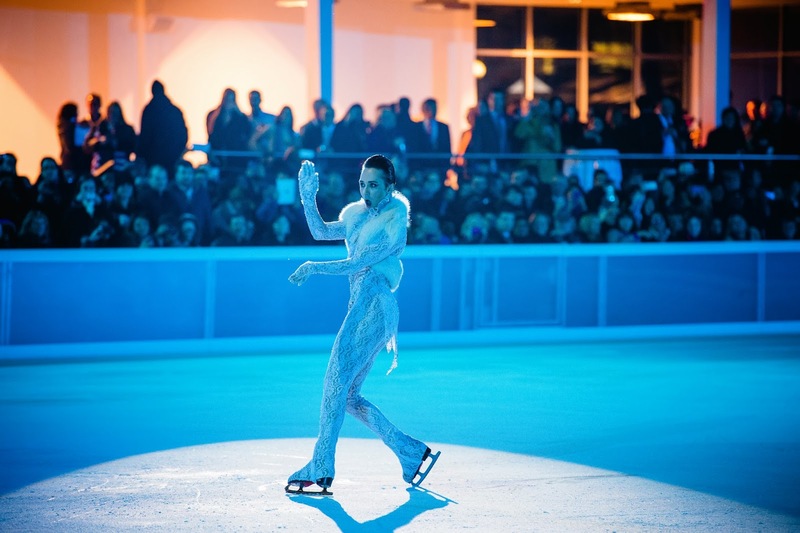 Pictured below is Olympic medalist Johnny Weir, whose performance to Lady Gaga's Poker Face showed his intricate choreography and bold personality. Skating by Sarah Hughes, another Olympic medalist, and the Haydenettes, a synchronized skating team, completed the on-ice portion of the program. Musical performances by Carly Rose Sonenclar, the Loston Harris Trio, and the Young People's Chorus covered classic Christmas songs like "Charlie Brown Christmas" and "All I Want for Christmas is You," setting a cheerful holiday tone. After the other performances ended, Big Bad Voodoo Daddy, our musical headliner, enchanted the audience with its trademark big swing sound. 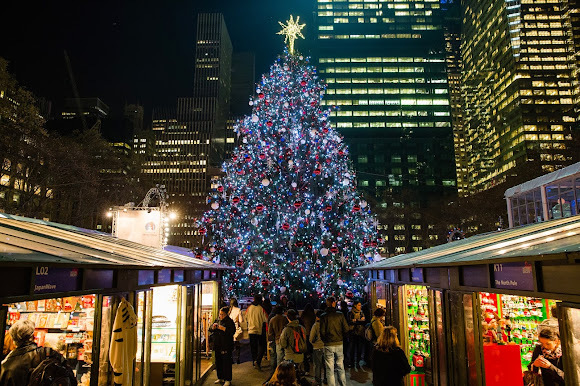 The public was invited to skate by the newly-lit tree, and the Haydenettes helped rookie skaters gain confidence on the ice. All this skating was for a good cause. 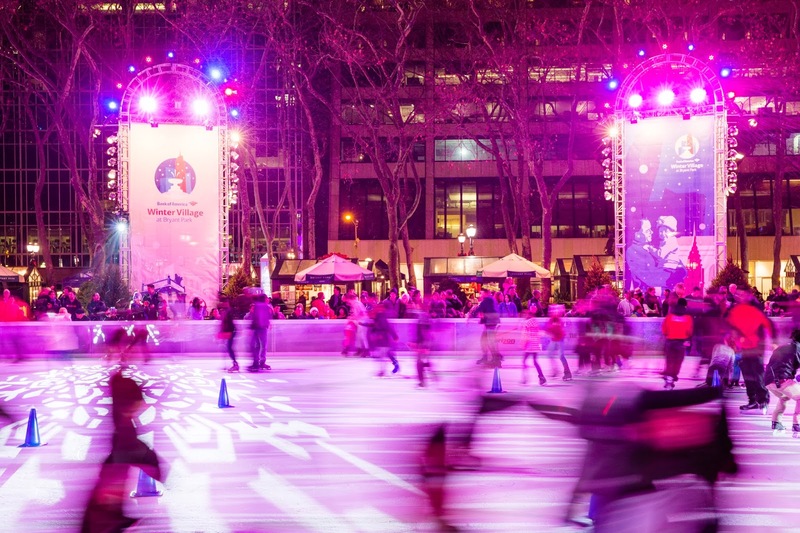 Bank of America launched its Skate-to-Donate program, which raised thousands of dollars for Food Bank For New York City. The Dine-to-Donate program also launched that evening, whereby purchase of Gingerbread Cheesecake Lollipops from Celsius Restaurant raised funds for Food Bank For New York City. We called in a favor and enjoyed a gorgeous snowfall as Big Bad Voodoo Daddy played its final songs. Isn't winter in New York City magical?